Prosthodontists in Glendale CA | Meet our Doctors! Dr. Krikor Derbabian studied at the University of Southern California where he received his Doctor of Dental Surgery degree (D.D.S.) in 1991. He was elected to the O.K.U. Dental Honorary Society that same year. He went on to receive his Certificate in Prosthodontics at U.S.C., where he was trained in treating complex dental conditions involving dental esthetics, cosmetics and dental implants. Dr. Derbabian has served as an Associate Professor of Clinical Dentistry at USC School of Dentistry, and has thought several courses in esthetic, cosmetic, restorative and implant dentistry. He has published numerous articles on esthetic, cosmetic, restorative and implant dentistry, he has been a guest editor for the Journal of California Dental Association, and has presented lectures to dentists and specialists at various national and international dental association meetings and study groups. Dr. Derbabian is president of the Center for Prosthetic Dentistry, a prosthodontic dental practice in Glendale-California, as well as CAD-Dental Laboratory, a high-end Dental Laboratory specializing in cosmetic, esthetic and CAD-CAM dental restorations. In addition to his private practice, Dr. Derbabian is active in the American Dental Association, California Dental Association, Los Angeles Dental Society and the American College of Prosthodontists. With his background and training and together with a committed staff he is prepared to offer you his best efforts at obtaining oral health and optimal esthetics and function with the restorations made for you. Dr. Winston Chee graduated from Dental School in 1981 and the Advanced Prosthodontics Program of the University of Southern California School of Dentistry in 1986. Since then he has been a full time faculty member of the Dental School. In addition to his training Dr. Chee is a Diplomate of the American Board of Prosthodontists. This means he is a Board Certified Prosthodontist. In order to claim this distinction he had to undergo and pass a rigorous four-part examination administered by the American Board of Prosthodontists. This examination tests the knowledge and clinical skill and competence of candidates as prosthodontic specialists. Dr. Chee is The Ralph W. and Jean. L. Bleak Professor of Restorative Dentistry. He is at present the Director of Implant Dentistry and the Co-director of the Advanced Prosthodontics Department at the University of Southern California, School of Dentistry. During his tenure at the University he has directed many courses in the various restorative disciplines. In his present capacity his educational efforts are focused in on Implant Dentistry and advanced procedures in Restorative Dentistry. As the Director of Implant Dentistry he is directly involved with the education of graduate specialty students in the proper planning and usage of Dental Implants. As the Co-director of the Advanced Prosthodontics program he is forced to stay current with the latest developments in all facets of the specialty of prosthodontics. Dr. Chee has published over 40 articles in peer-reviewed journals and has presented lectures to many of the major Prosthodontic and Implant related organizations nationally and internationally on the subjects of advanced restorative and implant dentistry. He is a consultant on Implant Dentistry to the American Dental Association Council of Materials and Devices and an article and book reviewer for the Journals of the California and American Dental Association. 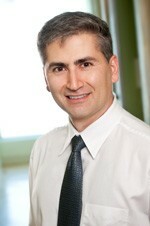 He is on the editorial board of the Compendium of Continuing Education, which is a major peer reviewed dental journal. 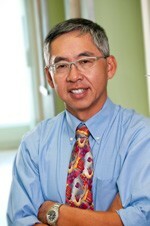 Dr. Chee is a Fellow of the American College of Prosthodontists, Fellow of the American College of Dentists and a member of the American Academy of Restorative Dentistry, Academy of Osseointegration, San Gabriel Valley Dental Society, California Dental Association and American Dental Association. With his background and training and together with a committed staff he is prepared to offer you his best efforts at obtaining oral health and optimal esthetics and function for restorations made for you. Dr. Loris Abedi attended California State University, Northridge where he received a Bachelors degree in Biology. He then enrolled at the University of Southern California, School of Dentistry, where he received his dental degree in 1992. Upon graduation from dental school, he was accepted and enrolled in the graduate prosthodontics program where he was trained as a prosthodontist, treating complex dental conditions, involving dental implants, esthetics and full mouth rehabilitations. 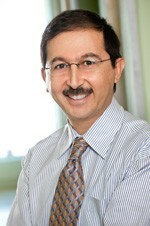 He received his certificate in prosthodontics in 1995, and was asked to join the faculty at USC School of Dentistry. He has been a full time faculty as an associate professor in clinical dentistry since 1996. He's had many responsibilities and held many positions, most notably, that of chairman of the fixed prosthodontics section, in the restorative department.